Times of India, Chennai reports on Sri M’s recently concluded 2-day discourse on the Bhagavad Gita, in Chennai. The music Season begins a month ahead at the Music Academy with songs of a different kind. 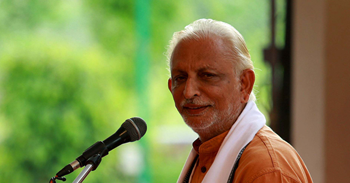 A two day discourse held on the Bhagavad Gita by Sri M on Dhyana Yoga, the 6th Chapter of the Bhagavad Gita, saw a packed house. Singer Shreya Ramnath invoked the chief guest of the talk, lord Sri Krishna, with a beautiful rendition of Krishna Nee Begane Baro and a selection of diverse, multilingual compositions. “The Bhagavad Gita, is one of the most widely read scriptures in the world. After the Bible and works of Shakespeare, there is no text which has become so popular and read all over the world,” he added. It is also one of the oldest texts known to offer different ways of looking at the truth, with 18 chapters, each an independent path and a yoga in itself. 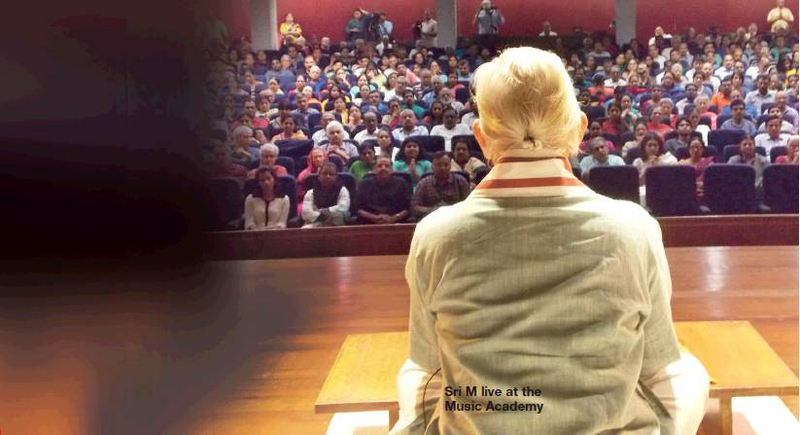 Sri M insisted that one can try to listen between the words for the music which it contains, for is meant to be sung, as is evident from the meaning of the word ‘Gita’ which means ‘song’. The Gita is a practical text. Arjuna asks questions that come to our minds, too. He tells Krishna that owing to the fickleness of his mind, there’s no way of establishing spiritual communion. It is so turbulent and unyielding that it appears that it is easier to control the wind than his mind. Krishna says that the mind can be controlled by dispassion and regular spiritual practice, without admitting failure. “If you fail you will come back. Your bank balance remains. It’s not like a physical bank balance that if you are dead someone will come and take it off. A yogi is superior to a scholar because a scholar may know many things, but may not have found his inner self. He is superior to a ritualist, too. 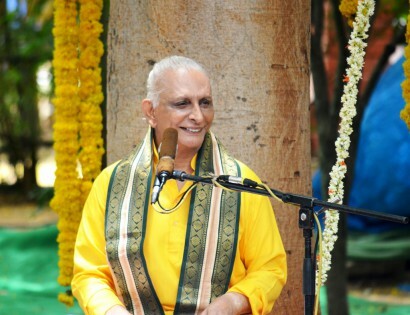 Therefore Arjuna, I want you to be a yogi,” Sri M explained. “Krishna says to Arjuna that the greatest yogi is one who sees everything as his inner self. Who is completely absorbed in me and thinks of nothing else. Such a great one, I call the greatest of all yogis,” saying this, Sri M concluded the 47 shlokas of chapter 6 of the Bhagavad Gita. 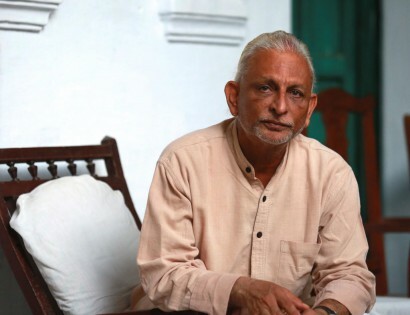 Mumtaz Ali, also known as Sri M, is a spiritual guide, social reformer and educationist who was born into a Muslim family in Thiruvananthapuram, Kerala. 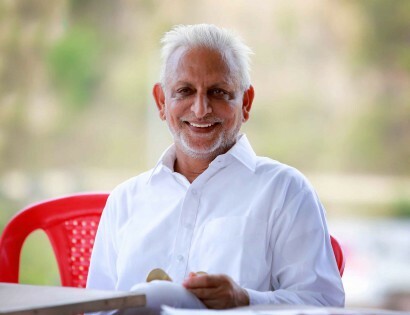 He runs educational institutions (including free schools) and is committed to communal harmony and social upliftment. In 2015, he went on a 7000 km walk from Kanyakumari to Kashmir to bring people’s attention to one of the biggest problems of our time, violence in the name of religion.